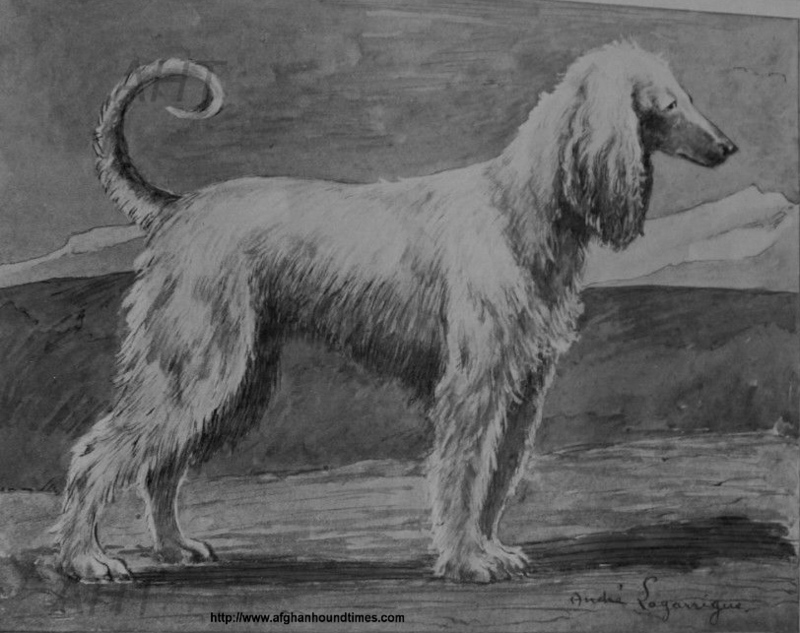 The magazine "Le Chasseur Francais" ("The French Hunter") was founded by the French company 'Manufrance' which was the first French mail order company, pre-dating the American Sears-Roebuck mail order company. Manufrance mainly specialised in sporting and hunting, shotguns, bicycles, and other desirable products like gardening and householD items. 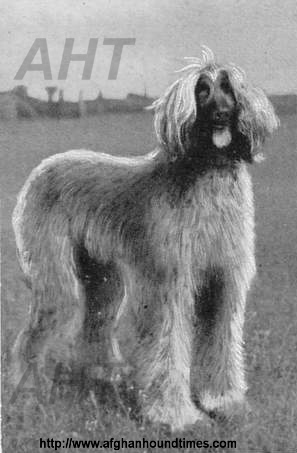 It was first started in 1885 and has passed to various owners over time - in 2001 it was bought by Emap group. 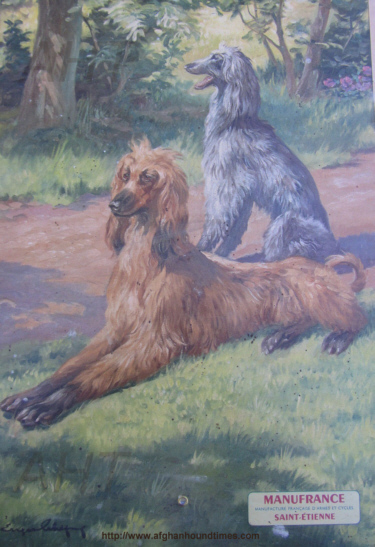 The illustration the Afghan hounds is believed to be from the cover page c 1938. 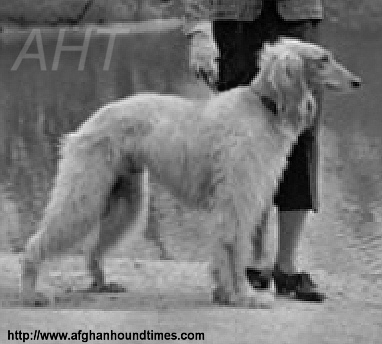 He is tall like a Greyhound, with an elastic gait , but more compact and his body is cover by long hair, floating in places, unregular distributed.